This technigue from basic to advanced are characteristiced with manners of biomechanic, which are as a " theory and aplication". They are conneted with the technigue of HungKar and give to students really psyche and spirit of art. At the first they practise basic fists and blocks in "Sei ping ma" and "Jing ma". For beginners and advannced students is the main principle basic hands technik with used waist as a movement axis technigue. 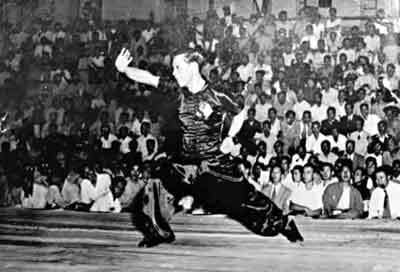 The waist moves out with blocking it pulls the opponents power, which loosed balance and so we prepare for attack. When we strike the waist and back are quickly moving together. Students begginers are tired of a hard training of very low and wide stance. They learn the basic attack and defensive technigue to move themselves. 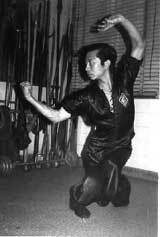 This progressive method of traditional HungKar is derected to use a breath (Chi-kung) to according nerves and muscles with using right position of body´s stance.This is a start of using theory "technique of feeling and to be relentless. They are used for keeping distance to their opponent. They are special fighting stance. For free fighting. The special steps learn how to use opponent´s power to countner- attack and how to have control of his technigue. It´s a start of theory - "Technigue of invisible contact". 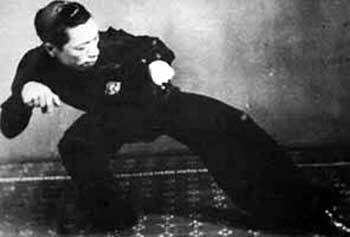 Student´s level means basic training program of control breath (Chi-kung). HungKar means deliberation, determination and destination. "Principles, reapekt, discipline, harmony, selfcontrol, selfconfident".